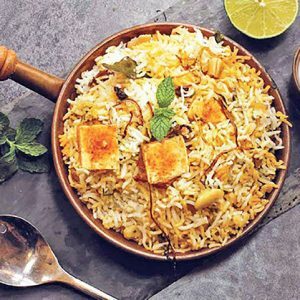 A delicious, healthy and a different take on the usual pongal. Great for breakfast or dinner. 1. Break the soya chunks to a small pieces. 2. Combine the soya and rice in a bowl. 3. Add milk and enough water (about 8 cups). 4. Pressure cook until 4 to 5 whistles. 5. Wait till the pressure has reduced. 6. Add some water to salt and add to the pongal. 7. Heat oil in a small pan. 8. Fry the curry leaves, cumin seeds, ginger and peppercorns for a minute. 9. Add this to the pongal and stir gently to mix. 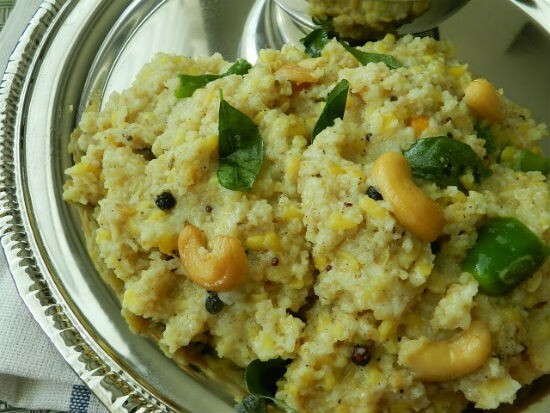 Feel free to comment or share your thoughts on this Soya Pongal Recipe from Awesome Cuisine.